Eagles, Rams still in fight for playoff positioning. 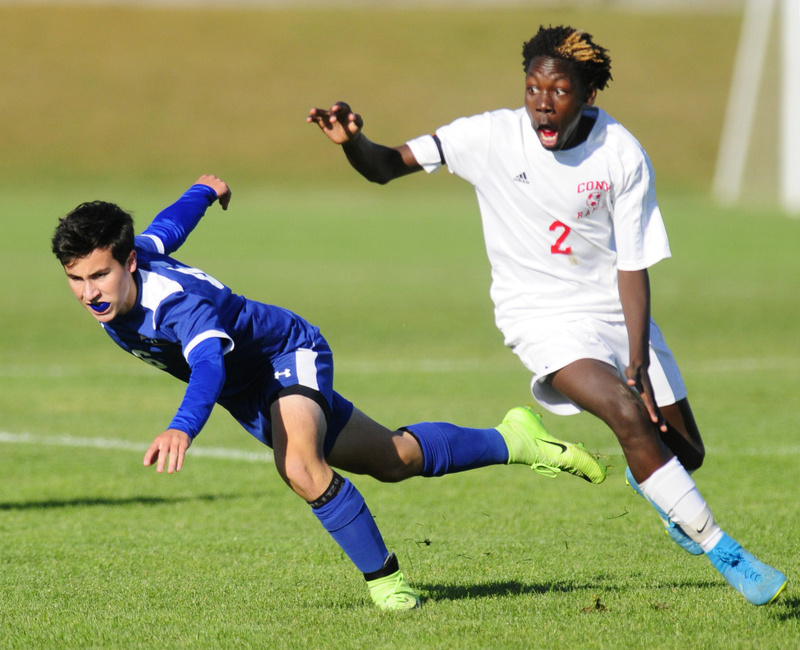 AUGUSTA — Players and coaches alike on both sides of midfield all came to the same conclusion following Friday afternoon’s pivotal Kennebec Valley Athletic Conference Class A boys soccer match between Cony and Messalonskee. 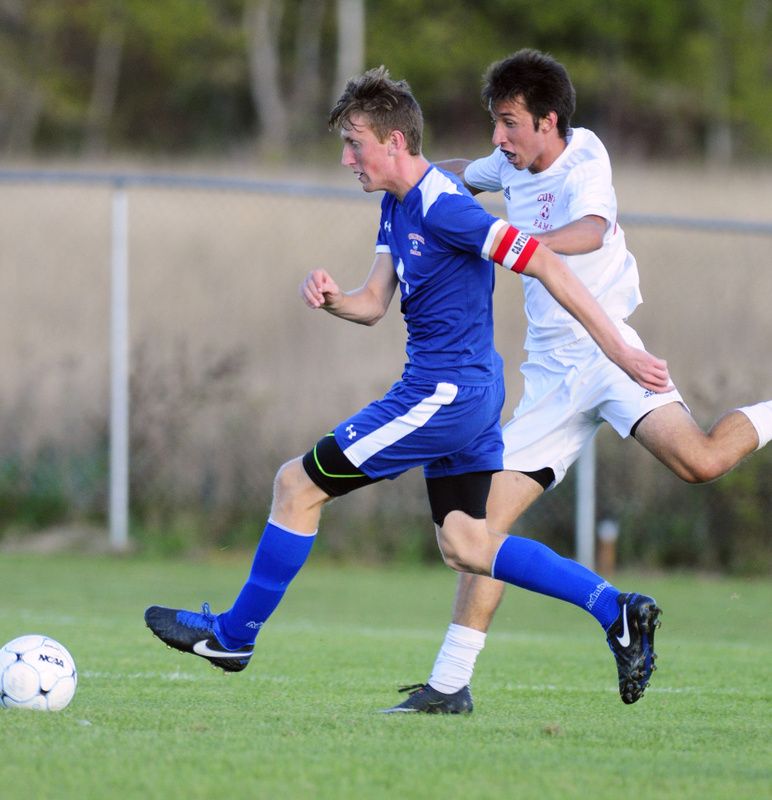 “A win would have been better,” Messalonskee coach Tom Sheridan said. 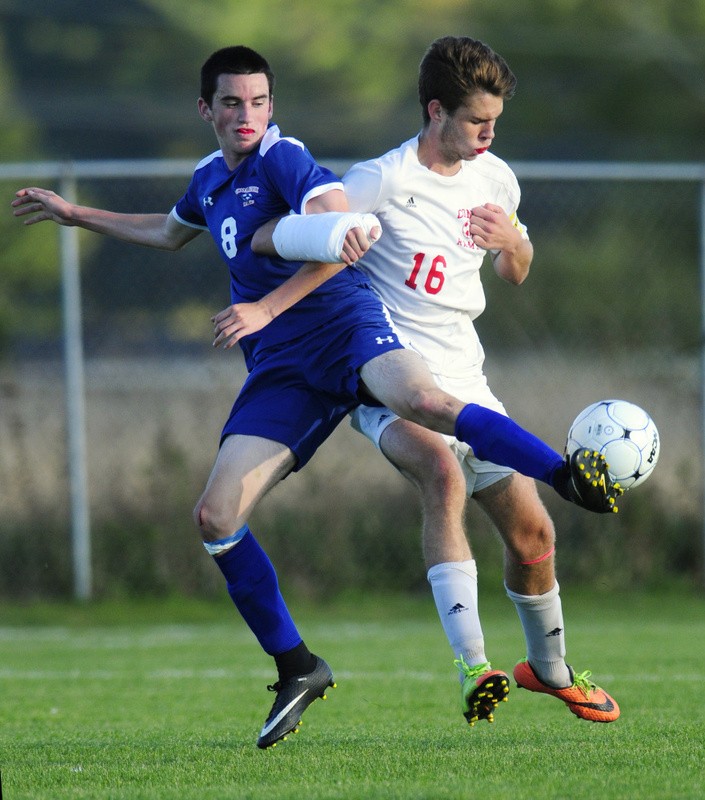 The Eagles and Rams played to a 1-1 tie, likely keeping Cony in the eighth and final Class A North playoff spot. Messalonskee, on the other hand, is still on the outside looking in with only three games remaining. 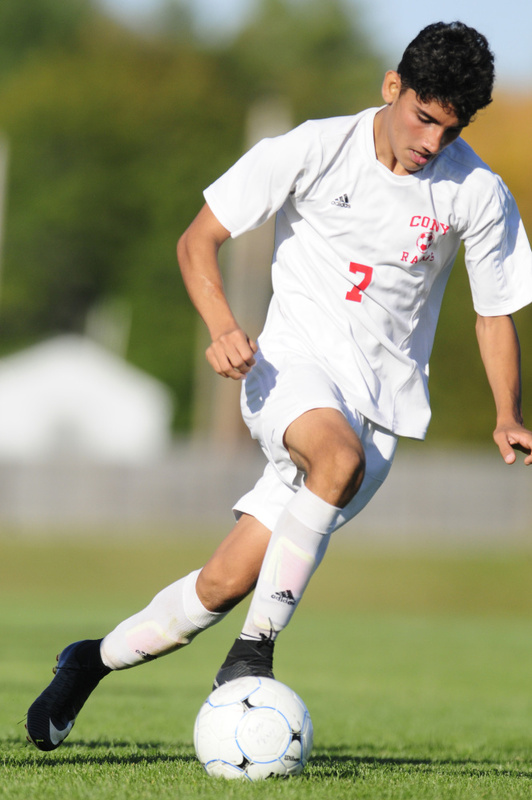 Brad Houston scored for Cony (4-4-3) in the 36th minute, while Chase Warren equalized for Messalonskee early in the second half. 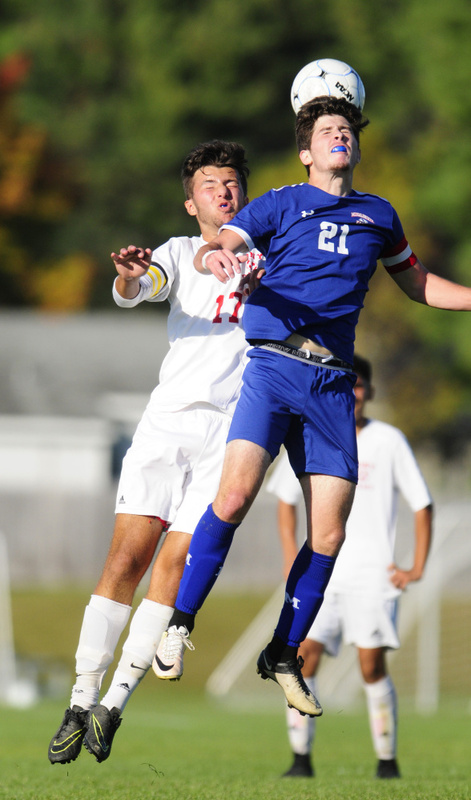 Messalonskee (4-5-2) entered the day 10th in the Heal point standings in the 12-team region, two spots behind Cony. 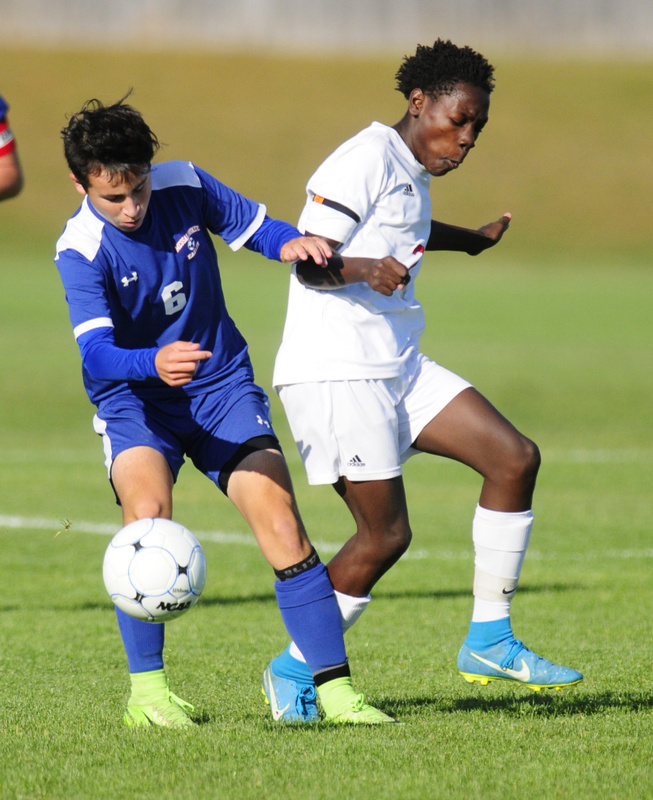 The Eagles trailed the Rams, who they played to a scoreless draw last month at home, by roughly 12 points. 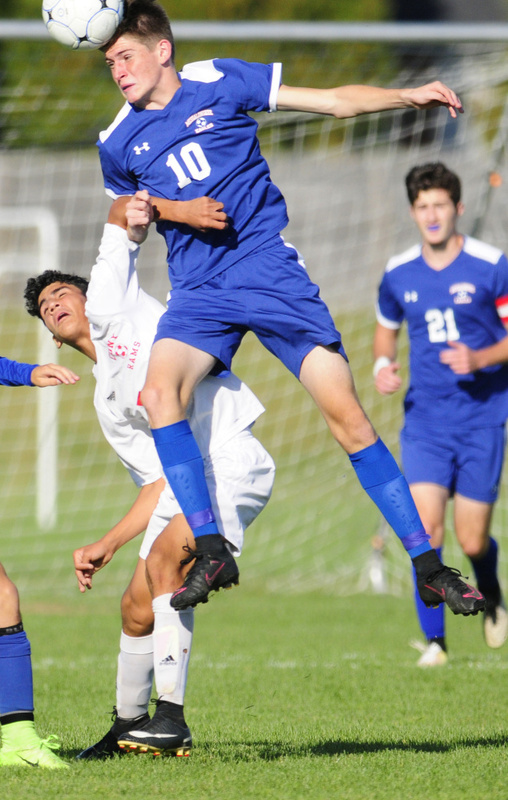 The road to a potential postseason berth became even more daunting when Houston netted the game’s first goal to give Cony the early lead. A cross from junior Alex Cousins to sophomore striker Simon McCormick at the far post drew Messalonskee goalkeeper Dawson Charles aggressively off his line. 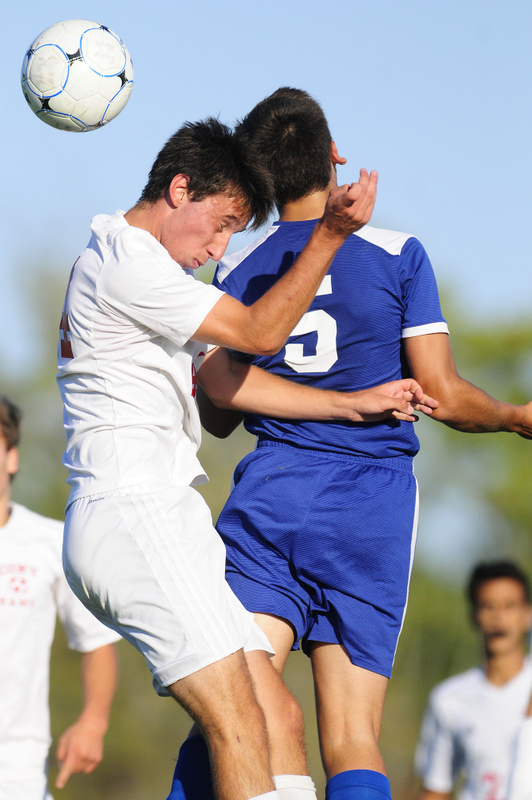 McCormick got his head on it, but he was unable to drive it toward the goal. Houston found the seam and put his own head on the second chance, popping the ball into the open net. It came as no surprise that the Rams got their goal via a cross into the 18-yard box. The most dangerous chances they created all day came via corner kicks or long crosses, when they could put an accomplished Messalonskee back line under pressure. Messalonskee got to work after halftime in a game in which it had trouble consistently generating opportunities out of midfield possession. Ironically, it was a converted midfielder drafted to play right back who made a deep cross into the box for Warren, the senior midfielder who was left unmarked in front. Warren turned blindly and ripped a shot along the ground that clipped the far post before going in to even things in the 51st minute. 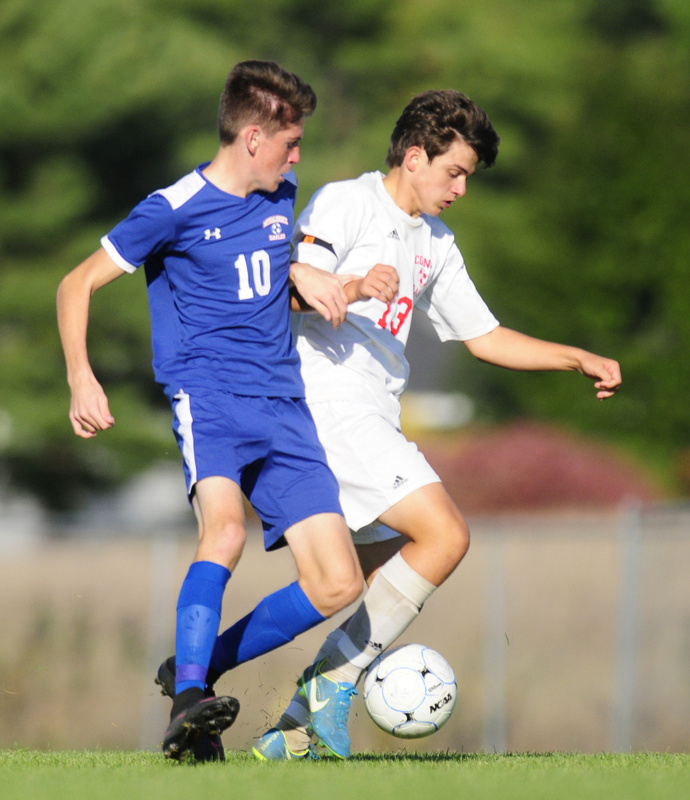 From there, the best chance for either side fell to Cony, when Cousins cut to goal off the left side in the 67th minute, drawing Charles off his line again. Charles (four saves) made the stop with a good challenge in a 1-v-1 situation. “Given the worst possible case scenarios, I can live with this (draw),” Millett said. Sheridan still believes his team can make the playoffs, and he still thinks the Eagles have a chance to compete with any of the teams should they get there.